The console version of World of Tanks is evolving with the new Mercenaries update, which adds new vehicles, hero Crews, maps and an explosive story campaign to the game. 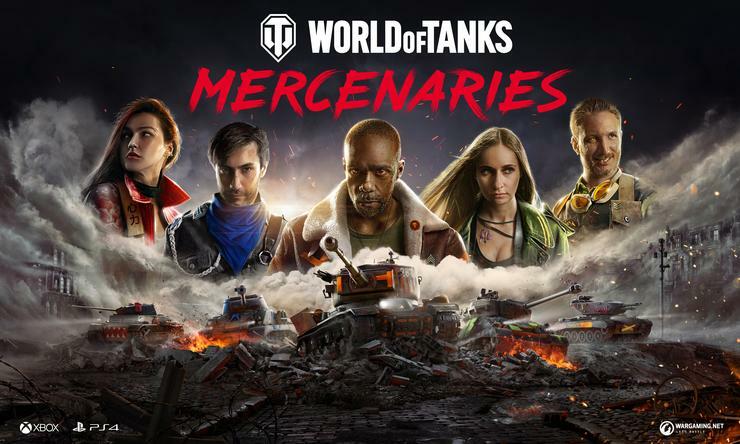 Available to download now for PlayStation 4, PlayStation 4 Pro, Xbox One X, Xbox One and Xbox 360, World of Tanks: Mercenaries introduces the concept of Mercenaries to the game and takes the action to a new reality where World War II never ended. Players in World of Tanks: Mercenaries collect parts from captured and abandoned vehicles on the battlefield to create entirely new ones. In addition, players will be given the opportunity to earn powerful, never-before-seen Mercenary vehicles for free through the brand new Contract system. 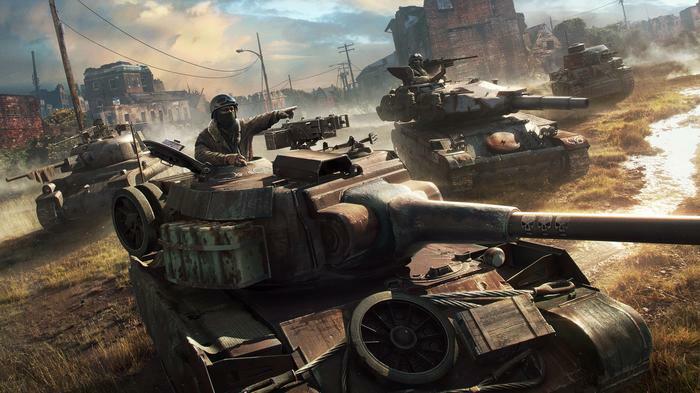 Fulfilling certain in-game objectives, such as destroying a number of tanks from a specific nation in Multiplayer battles, can unlock vehicles. Each vehicle is helmed by a unique Mercenary crew, with their own story and their own play style. Five vehicles are available at launch, and Wargaming say the Mercenary nation will continue to expand its ranks over time. A brand-new War Stories campaign kickstarts the Mercenaries universe, joining an epic saga of stories set against an alternate history backdrop. Called ‘The Heist’, developer and publisher Wargaming are pitching it as a tale of espionage, nuclear tensions, and tank battles where players follow a crew of mercenaries who have been hired to set up, execute, and escape from a raid on a secret facility. The crew soon find themselves at the mercy of the combined powers of the United States and the Soviet Union. Players can tackle this story alone, or band together with a friend for co-operative online multiplayer action. Players can explore battlegrounds in eight new Mercenary-themed maps with fan-favorite multiplayer maps getting total revamps to fit in with the new setting.